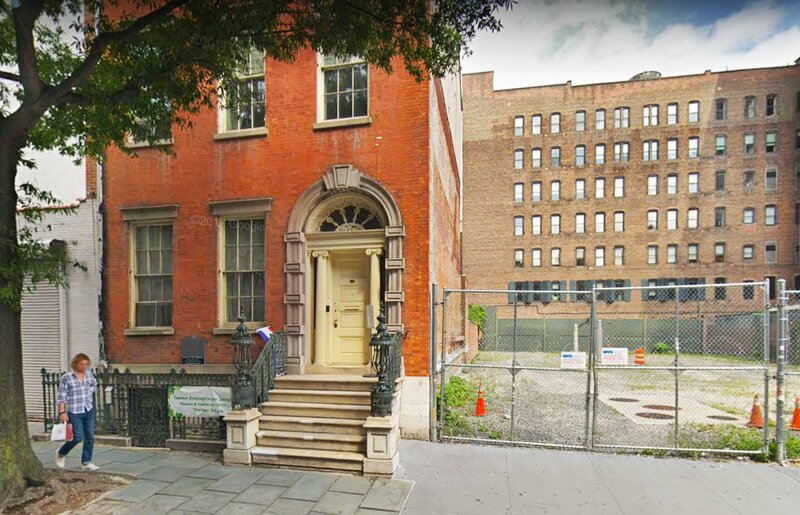 In June, a petition was filed in New York Supreme Court to prevent the construction of an eight-story hotel next door to the historic Merchant’s House Museum in the East Village. Now, Curbed reports, the proposal to build the hotel was unanimously rejected Thursday by the City Council’s subcommittee on zoning and franchises. The 186-year-old townhouse belonged to hardware merchant Seabury Tredwell, who bought the 10,000-square-foot residence for $18,000 in 1832. The museum, which has been remarkably preserved since then, became the first property in Manhattan to be designated a New York City landmark in 1965. But landmark status does not guarantee protection from any adjacent construction projects. The museum began legal action against the hotel project because, the museum argued, construction would have destroyed the building. The no vote represents a big setback for Kalodop II Park Corp, who is behind the proposal. After the hotel proposal was unanimously nixed by the community board in June, the museum filed a lawsuit against the City Planning Commission and the project’s developer on the grounds that the danger posed by construction was not outlined adequately. The hotel had, in fact, been approved in 2014 by the Landmarks Preservation Commission, though commissioners called the proposal “drab on so many levels.” Kalodop owns the parking garage next to the museum and is applying for an amendment to the city zoning code to get a special permit for constructing the hotel in a historic district.